Playroom staging is a touchy subject with many mommies, since balancing the needs of a living, breathing family with the demands of a showplace-staged home can be a real challenge. However, if you can not clean up and clean out your playroom 100%, there are still ways to get the space in tune with the rest of your home, making it a buyer-pleaser, especially for buyer demographics who are likely to have children of their own. 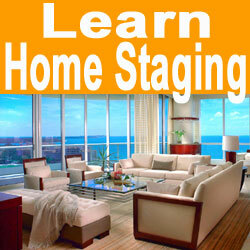 This tutorial enlightens with some easy-to-implement home staging tips that are guaranteed to improve the appeal of any playroom environment. 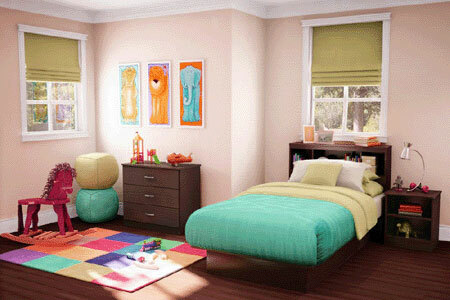 The main problems with playrooms are clutter, a general lack of organization and overall cleanliness. You must get your kids involved with the staging plan and help them to increase their contribution by enhancing their own playroom. First off, talk to your kids about which items will stay and which will be packed up to make ready for the upcoming move. The more you can get them to pack, the better off the room will be. The items which remain should be organized using closed and covered storage solutions, which will make the room look clean and cared-for. Make sure to tidy up the paint and woodwork in the playroom, since these are prone to nicks, marks and the occasional crayon drawing. Try placing a rocking chair, table and book in a grouping to show the room as a space for shared time together, instead of just junior’s mayhem space. Hide wiring for televisions and video game systems and add some nice art to the room, which will attract the eye of parents and children alike. Finally, instead of box after box of plastic junk, try placing a nice small bookshelf with some educational books and games, in order to will make buyer see the space as a learning environment for their own children. If you set the stage right here, a basic playroom can still be a real hit with buyers of all ages, whether they have children, grandchildren or possible offspring on the way in the future. Playrooms are not generally a great way to stage a room. However, sometimes, there is just no way of getting around it. So, just do the best to make the space appeal to all ages of buyers, even though the focus of the room is on the young ones. Mom and dad will both enjoy seeing a space which will help them to raise their children better and give them a dedicated room to spend quality time with their beloved offspring. To achieve this end, just declutter, organize, clean and add some finishing touches. Once all is complete, your playroom will be a real winner and you will reap the rewards when the home is sold.